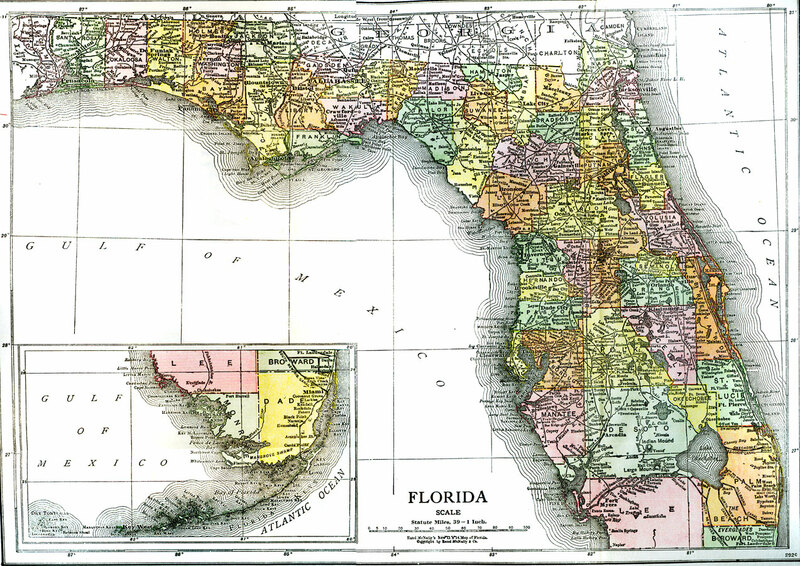 Description: A map of Florida showing major cities and county seats, waterways, and railroad lines current to 1918. Okeechobee/Everglades drainage canals are shown including the proposed West Palm Beach canal. Map scale is 1 inch equals 39 statute miles.